If you’ve lost one tooth or a number of teeth in different areas in your mouth implant crowns will help restore your smile. 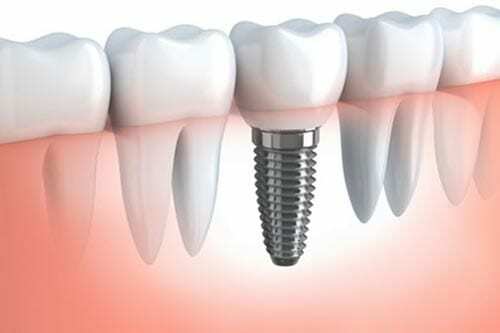 An implant crown comprises of a titanium post which is inserted into the bone where the tooth is missing, and a crown which is then attached to it. Your dentist will first fit a temporary crown and once the post has successfully fused with your jawbone it will be removed and a permanent crown attached in its place. The great thing about implant crowns is that they are custom made to match your other teeth meaning that it can be difficult to tell which your real teeth are and which are implants. Do you have concerns about the condition of your teeth and feel that one of the above restorative dentistry techniques could help you? If you think you might need a bridge, filling or dental implant, visit our dental practice in Mount Waverley and let us help determine your best course of treatment. Call our friendly staff at (03) 9886 5318 today!